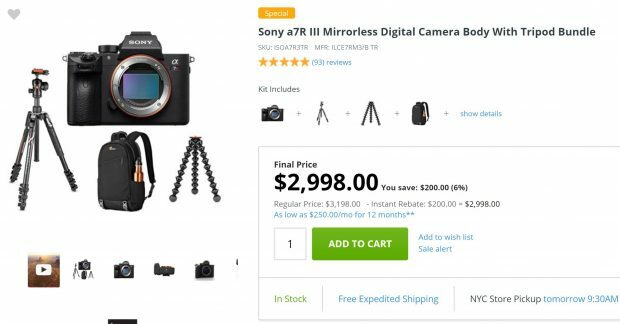 Hot Deal – Sony a7R III w/ Joby GorillaPod 5K Stand + Manfrotto Befree Tripod & Head + Lowepro Backpack for $2,998 at Adorama ! Adorama has a super hot Sony a7R III tripod bundles for $2,998.00. You can get Joby GorillaPod 5K Stand + Manfrotto Befree Advanced 4-Section Tripod & Head + Lowepro m-Trekker BP 150 Backpack for free. Previous Previous post: Sony a7 III Body now In Stock at Focus Camera ! Next Next post: What to Expect Next from Sony ?